Open days are a great way to introduce your institution to prospective students. 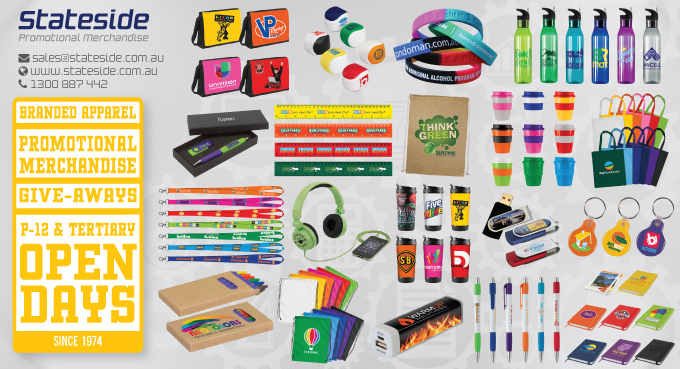 thousands of products that can be customised with your logo, name and message. Make an impression and leave your prospective enrolments with a lasting reminder. Stress Toys, Novelties, Tech Accessories, T-Shirts. Send us a Custom Merchandise Brief OR contact us for more information OR email us at sales@stateside.com.au.